The Famous Pellpax Pellet Sample Pack! 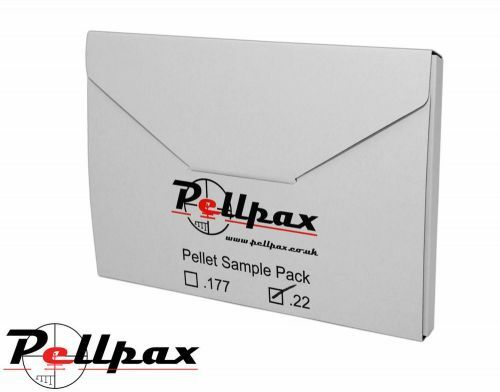 What Pellpax is famous for (and where our name came from) - our well known Pellpax Pellet Sample Packs. These Packs are the most Economical way for you to discover the ideal pellets for your new rifle or pistol, or to get the best performance from your old ones.without having to spend up to 15 pounds for a whole tin. Also included in this kit are approx 20 targets, so you can keep a record of the performance each pellet. Pellets within pack are subject to change subject to availability. Add this item to your basket & spend an extra £484.01 to apply for finance.